To the Memory of Alexander Shirriff Morrison, Q.C., LL.B. 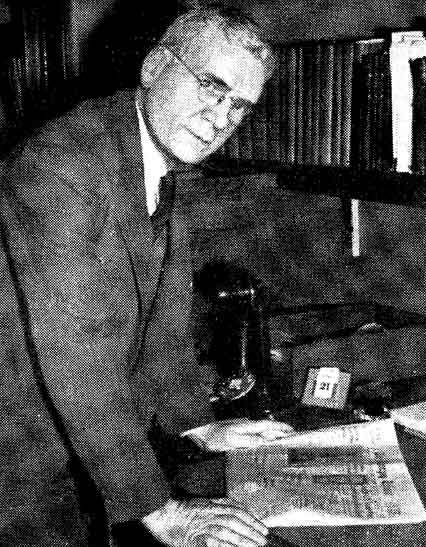 The Manitoba Historical Society lost one of its oldest and most faithful members, a past president, secretary and honorary life member, in the death of Alexander Shirriff Morrison on 30 June 1955. The society owes him much, and his memory should be kept green among us. Alex. Morrison was born in Waddington, New York in 1880, and moved with his family to Pierson, Manitoba in 1892. He studied at Brandon Collegiate and St. John's College, where he earned his Bachelor's degree in Arts with distinction, in 1903. In 1907, he graduated in Law, having been articled with the firm of Fisher, Wilson and Ewart. He first practised in Souris, and then came to Winnipeg in 1913. A member of the firm of Morrison and Stapley, he specialized in the knowledge of legislation and taxation affecting the grain trade, and was well known in the Grain Exchange. It may be conjectured that it was at the Grain Exchange that Alex. Morrison came to know Dr. C. N. Bell, secretary of the Exchange for many years, and secretary and president of the Society. He became, at any rate, a keen and quite successful collector of western Canadiana, and left a library of interest and value. He was secretary of the Society from 1929 to 1935, and president from 1935 to 1938. In 1954, the Society printed his paper Literature in Manitoba, 1870-1930 read before the Society in 1930. In recent years, the Society benefited much from his efforts in raising funds for its support. All these things were the fruit of a lasting interest and affection for things historical.